Rochester Colonial hosted the #travelingspinbike to raise awareness of diabetes from March 27th to April 1st. 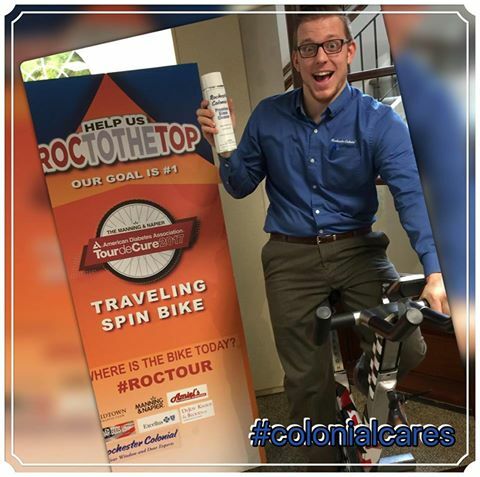 Anyone who rode the Tour de Cure - Rochester traveling spin bike and posted their picture on our Facebook page received a FREE can of Rochester Colonial Premium Glass Cleaner!!! No purchase necessary!! Thinking about riding? - JOIN OUR TEAM! !